the leakage of sound from loudspekr is the major prblm. but perfrmnce & feature wise it is way ahead in the competitn against samsung and other chinese mobiles. looks and camera is ordinary bt arround 2500 u shuld not expect any thing more than that. so. jst update the firmware nd njoy the phon. its awsm. 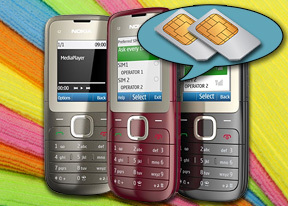 It's really very good Mobil phone for who change sim card regularly. I like this phone. Please has anyone been able to use the radio recorder...cos i cant see it here in my phone. The phone is nice for the price anyway! Real phone...with branded features and quality tooo...in low price. How do I dim the brightness? I feel it is too bright for me. Available Black list and auto call recorder? This two things is very much inportent for me. plz tell me why opera mini is not working?